New York artist and performer Claire Dunphy has seen the web that connects us all together, the web that exists under, above and through us all. 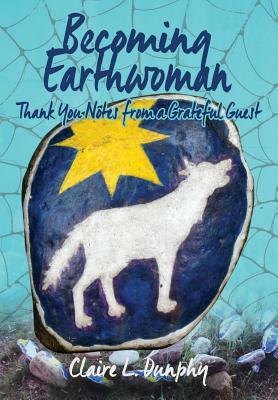 The Harmonic Convergence lit a fire inside her that led to her traversing the countryside in Vanita von Van, often with her trusty four-legged sidekick, Magnum, in tow, painting and arranging rock circles. Claire's journey from New Yorker to Earth Woman was not always easy. She encountered bigotry, reflexive oppostition to her love of the planet and its inhabitants, and met some who couldn't see what Claire saw -- The beauty and wonder that is life on this planet. But, Claire also met many human spirit guides who pointed her in the right direction, attended Lakota ceremonies and gatherings, and spread her circular, animated love around the American West and then to the larger world.